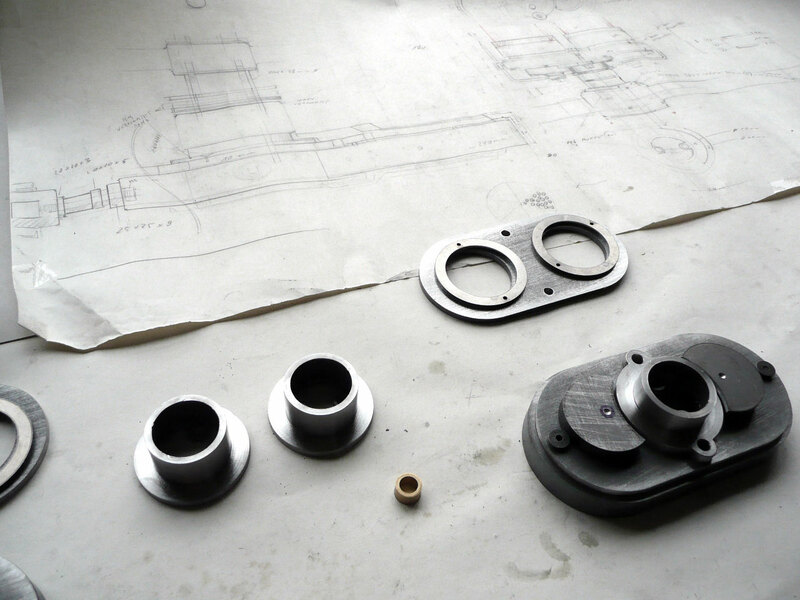 Frank Buchwald, the German lamp maker championed by MB&F's M.A.D. Gallery, recently completed the Nixie Machine, an imposing desk clock equipped with a Nixie tube display. Based in Berlin, Frank Buchwald makes impressive lamps from steel and brass, objects that are closer to sculptures than they are lighting. Based on an idea from French collector Alberto Schileo, Buchwald and the M.A.D. Gallery, the Geneva boutique of MB&F, conceived the Nixie Machine, a hand-made digital clock. 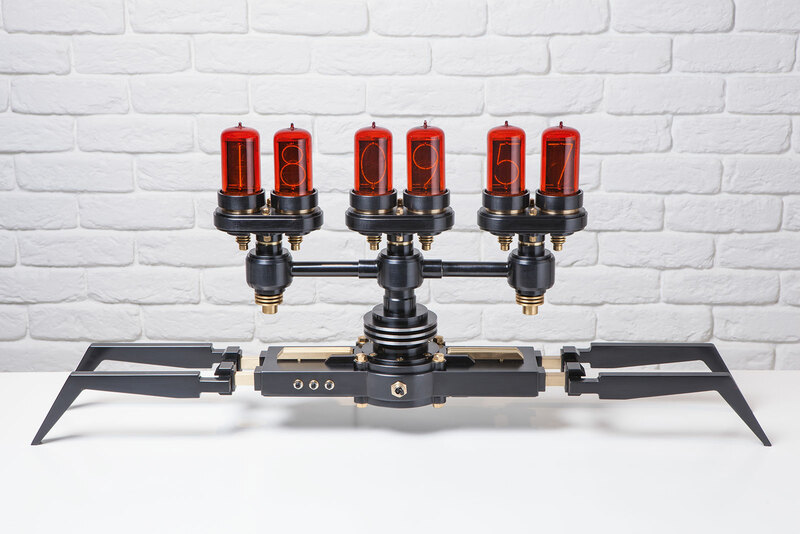 Resembling an Art Deco extraterrestrial, the Nixie Machine is completely at home with the rest of MB&F’s sci-fi and pop culture inspired objects like the Starfleet clock and MusicMachine. 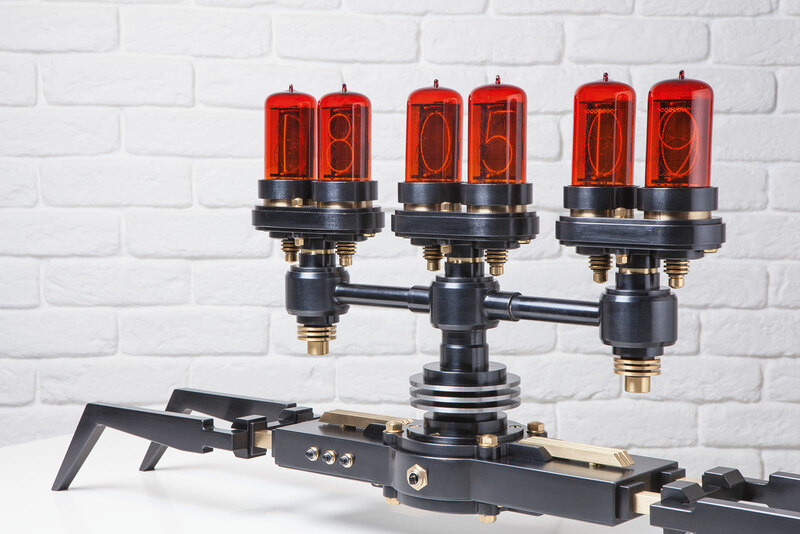 Machined and finished by hand like the rest of Buchwald’s creations, the Nixie Machine comprises 350 components, including six Z568M Nixie tubes. Dated from the sixties, the tubes were made by RFT, the state-owned technology enterprise in East Germany, and are “new old stock” in watch collector parlance. Nixie tubes are glass vials filled with neon gas, with a cathode that causes the gas to that orange when an electrical charge is applied. 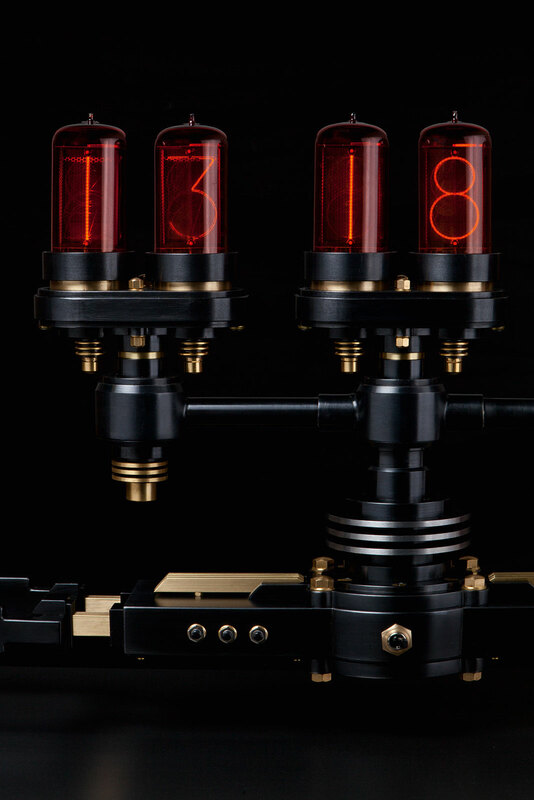 The Nixie Tubes used for the clock have Arabic numeral cathodes inside, and are able to display a variety of information, from the time to the calendar, depending on the programming of the circuit board. A night time mode with a darkened display is also available, as is an alarm function. And the Nixie Machine is equipped with a GPS receiver for automatic time and date setting. The Nixie Machine can also be programmed to scroll through all the digits in a tube when the time changes, maximising the lifespan of the tube by ensuring all digit cathodes are used equally. 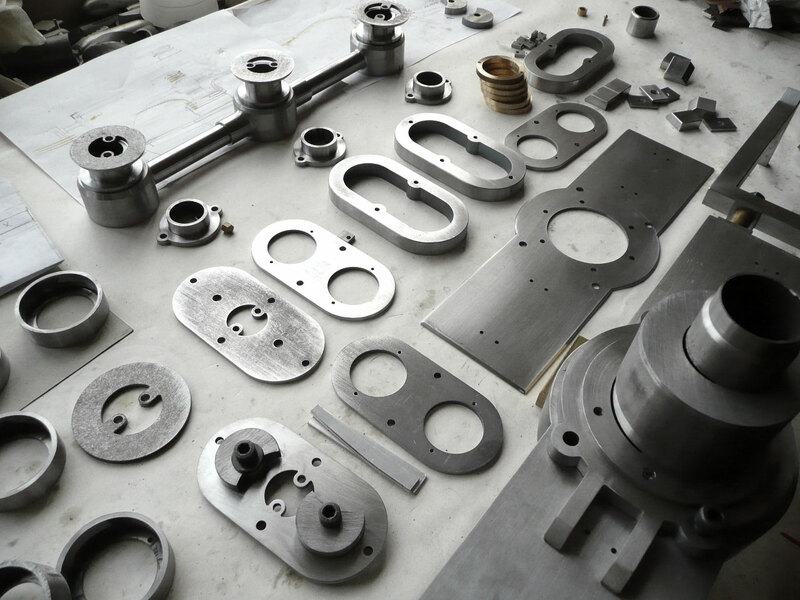 Buchwald makes only six Nixie Machines a year, with 12 made in total. The Nixie Machine carries a price of 24,800 Swiss francs, including 8% tax, and is available from the M.A.D. Gallery in Geneva.